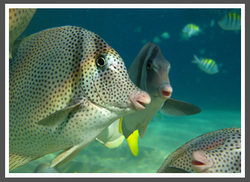 A calm protected site teeming with a wide variety of tropical fishes and Invertebrates. A beautiful wall dive leads to the famous Sandfalls. These look like waterfalls but are composed entirely of sand. Rocky slopes are covered with gorgonians and graceful sea fans. It is not unusual to spot manta rays (in the summer) and big fishes. This is an excellent snorkeling area. Pelican Rock is a must for all underwater photographers! We visit both bays, making 25 minutes in our new fast boat 30 feet Eagle Divers II is a custom-made dive boat powered by two 75 hp 4 stroke Yamaha outboard engines; It has sun deck, ample shade , dry storage, toilet and space for 15 snorkelers. A breath-taking bay known for its diving and snorkeling. This is a beautiful, protected finger reef that starts right at the shores of Chileno Beach and extend out into the bay for about a half of a mile, covered with coral, it is home to a large variety of schooling Tropical Fish and several species of Moray Eels. A colorful collection of invertabrates, starfish, seafans, sea urchins and sponges fill the nooks, crannies and sea floor. One of the region's prettiest beaches; here you find yourself in a calm little bay teeming with a huge variety of tropical fish surround the graceful sea fans on this protected cove. A beautiful, tranquil spot for snorkeling and photography. Snorkel set (mask, snorkel and fins), snacks and purified water. 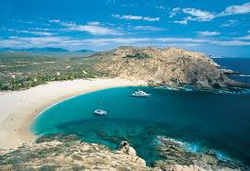 Cabo Pulmo is the only coral reef system on the western side of North America. Decorated with coral clusters in hues of green and gold, this is home to lots of coral reef animals and marine vegetation. The reef is made up of short walls that drop from 25 ft to 60 ft. Hundreds of garden eels, stingrays, snake eels and almost every type of tropical reef fish is found there. In season you can see rays and sea turtles. Great for snorkeling and sea kayaking. snorkel and fins), lunch, soft drink included. Every winter, these massive cetaceans migrate from the chilly waters off Alaska to the Bays along the Mexican Pacific and the Sea of Cortez. You may also have the opportunity to see other marine mammals such as Humpback Whales, Sea Lions, Spinner Dolphins, Bottlenose Dolphins, and Spotted Dolphins. You will never forget the once-in-a-lifetime experience of witnessing these majestic animals in the wild. Snorkelear, bucear, cursos de buceo en Cabo. Ballenas, tiburones ballenas, peces tropicales. 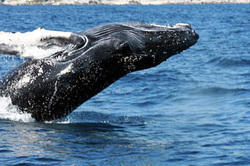 Swimming with these gentle giants can be the perfect end for your vacations. From early winter until late spring the whale sharks can be found feeding in the rich waters of the Sea of Cortez and in the Bay of La Paz in Baja California Sur. 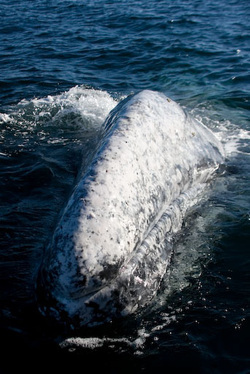 The gentle giants of the sea are the largest fish in the world and each season return to the waters close to the city of La Paz. Seeing these ocean behemoths in their natural environment or swimming close to these fish can be an exciting outing for young and old. Whale sharks are fish, not air breathing mammals, as they come from the family of the second part of their name, sharks and the Rhincodon genus. These giant filter feeding fish known scientifically as Rhincodon typus eat amongst the smallest creatures in the ocean , plankton. Moving slowly through the water, filtering thousands of gallons per day, these fish glean their nutrients from the rich winter waters of the Sea of Cortez. 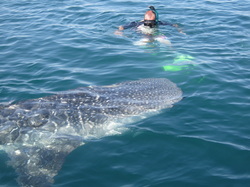 Be part of Whale Shark conservation and research effort!